Where is the Apartment Complex located? What takeaway food delivery services are in Cairns? How far are the Apartments from the Cairns Airport? How do I get to the Apartments from the Airport? Is there great shopping in Cairns? How far away are the restaurants? What major tourist attractions are nearby? How far away is the complex from ...? We are located at 71 Lake Street, Cairns Qld 4870, in the heart of the CBD. We are just a short stroll to just about everything you’ll need … restaurants, cafes, bars, supermarket, chemist, shopping, entertainment facilities and much more. Our central location makes it very easy for our guests to get around. We are only 10 minutes (by car or bus) away from the Cairns International Airport. Check out our Location Map for more information. You can place and order and arrange to have it delivered to our Reception area – for your information our delivery address is 71 Lake Street, Cairns, Queensland 4870. If our reception area is open, you will be notified when your delivery arrives and you must come down to reception to accept the delivery. For the safety and security of our guests, the delivery person is not permitted past the Reception area. Don’t forget our Reception Area is open 8:00am to 6:00pm Monday to Friday, 8:00am to 5:00pm Saturday and Sunday and 8:00am to 2:00pm on Public Holidays. Cairns Domestic and International Airport is a short 10 minute drive away from Inn Cairns Boutique Apartments at 71 Lake Street, Cairns. See more information on our Location Map. We have more travel/transport information for you here. Getting to and from the Airport to your accommodation at Inn Cairns Boutique Apartments is easy. Here we have listed the choices available, it’s up to you to decide. Taxi/Hire Car – it’s a short 10 minute drive (give or take) by Taxi, Limousines, Hire Car or Uber. If you are looking to hire a car we can assist with that when you make your accommodation booking. Buses/Shuttle Bus – A private bus service “Airport Connect” operates bus service to and from the Cairns Airport, visit the Cairns Airport website for all information. Buses are available to take visitors all over the Cairns, Tablelands and Port Douglas region. Translink has a Cairns Centre Terminus in Lake Street, just up from the Apartments. Translink operates a bus service to and from the Cairns Domestic and International Airport through Airport Link. All public bus information is available through TransLink or just ask our friendly staff for assistance. Cairns Taxi Service operates throughout Cairns. TransNorth Bus Service (a privately operated bus service) has bus services to the Tablelands and all the way to Cooktown and Karumba. Cairns Central is just a short stroll away (about 700 metres) and is the largest shopping centre in Far North Queensland. Either walk or drive as there is plenty of parking available. The Centre is fully enclosed (enjoy the stroll even in hot weather) and offers over 180 stores including boutique shops and Myer, Target, Kmart and Coles. The Centre has a Personal Styling Service available if you’re looking for a certain “look”. For a Village atmosphere shopping experience a short drive to Edge Hill and Palm Cove is well worth it.  Within a short walking distance from Inn Cairns Boutique Apartments in 71 Lake Street you can select from pub-fare, café dining and just about every international cuisine you can imagine. From food-courts (Asian and Indian takeaways, all-day café food, pizzas, Japanese food) to our One-Hat Restaurant – Tamarind. The hard part is going to be the choice. It’s just a short 10-minute stroll to the iconic Cairns Esplanade where you can select from a selection of great eateries; and The Pier dining precinct will offer up a wide selection of great food. The Cairns Dining Guide online is a great reference tool for all types of dining opportunities around Cairns, or ask our friendly staff for a recommendation. All major food outlets are very close by, it just depends on what type of food you want to prepare? Our inner-city Location is close (one street away) from Rusty’s Markets – Cairns iconic fresh food produce markets open Friday, Saturday and Sunday. You can buy some of the region’s best produce from meats to seafood, dairy products, fresh vegetables and fruits of all varieties, herbs and spices and other delicacies. A large Supermarket is located just across the road and caters to our many national and international visitors so it has a vast array of fresh and prepared foods from just about every cuisine. Their delicatessen and cheese selection are renowned. Source Foods and the Community Store are within easy walking distance for organic wholefoods. A great selection of local raw honey is on offer along with grains, seeds, nuts, supplements and lots more. When you come stay with us our location at 71 Lake Street is in the heart of the Cairns CBD and is a great jumping point for all kinds of tourist activities. Whether you’re up for an adventure, a family fun time or a relaxing foodie break, we have it all. Our Reception staff can help you plan your Tour activities, and recommend things to do during your stay. And if you Book Direct on our website you can SAVE 5% off. Whether you want to do a Great Barrier Reef Tour or a Day Cruise, or you want to drive yourself up to Port Douglas for the day – we can book the Tours and help you hire a car. Just speak to our friendly and helpful staff. Visit our Tours page to find out what’s available and Book Direct on our website at SAVE. We are located at 71 Lake Street, Cairns – right in the heart of the CBD. Check out our Location Map which will show you just how close we are to major facilities in and around Cairns. We are within an easy 10 minute walk to the iconic Cairns Esplanade and Lagoon, The Pier dining precinct, major entertainment facilities, Conference Centre, Supermarkets, Food Courts, Shops, Boutiques, Restaurants, fresh produce Markets, Cafes and Bars, some of the best coffee shots in town. The Cairns Private Hospital and the Cairns Base Hospital are a short taxi ride away (or bus ride); and the Cairns Domestic/International Airport is just a 10 minute drive (5 km) from the Apartment complex. and check out Cairns Regional Council website for lots of information on What’s On in Cairns.